Is Your Money Safe ? In Debt Need Help ? Lewisham Council has been a long term supporter of the Credit Union. We were supported by Lewisham in 2003 when LPCU applied for a grant from the Crystal Palace Partnership for Single Regeneration Budget Funds. This enabled us to open the Sydenham Branch - 262 Kirkdale, SE26. We were awarded the Neighbourhood Renewal Funding to develop services in Bellingham. Lewisham supported the merger with the Deptford and New Cross Credit Union in 2010. We were partners in the Lewisham Council pilot scheme for Universal Credit support services in 2013. We have also participated in Lewisham’s Faith in the Community conferences. In Lewisham we currently work with the council in the provision and management of local crisis loans (which replaced the DWP Social Fund in 2013), and also with loans to prevent homelessness and to assist single homeless people with obtaining rented accommodation. These schemes are offered by Lewisham Council, with referral to Lewisham Plus where applicants meet the scheme criteria. Bromley Council and Affinity Sutton Group supported the credit union in opening our Bromley Plus shop in St Paul’s Cray in 2011. From 1st March 2012, with the support of Bromley Council, we launched a saving and loans payroll deduction service for Bromley Council employees. This is run from the Bromley Plus branch, with occasional sessions for joining and loan applications at Bromley Council offices – details as advertised on the Bromley Council intranet. The credit union also works with Bromley to support people at risk of being made homeless, by referral from council officers. Lewisham Plus Credit Union was originally founded as the Association of Churches Together in Sydenham and Forest Hill (ACTS) Credit Union Limited, back in 1992. It was created by the Christian churches in Sydenham together responding to meet community needs, following on from the report Faith in the City 1985 on the church and the needs of urban priority areas. More recently Archbishop Justin Welby’s comments about “competing Wonga out of existence” in the summer of 2013 led to renewed support from churches of all denominations. In May 2014 Lewisham Plus took part in the launch of the Church Credit Champions Network (CCCN), at St. Martin-in-the-fields, Trafalgar Sq. Sir Hector Sants, the Bishop of Stepney and others explained how the CCCN will help to promote affordable, responsible credit and church support for credit unions. We are pleased to be working with the CCCN and also with the Diocese of Rochester to explore and develop church support for the credit union in Lewisham and Bromley. LPCU works with Lewisham Homes to promote financial inclusion and sound money management and in 2013 we amended our Rules to allow any Lewisham Homes residents or staff to join. We have an active mutual service agreement with Lewisham Homes to promote the credit union’s services and to enable our Deptford Outreach Worker to sit with Lewisham Homes staff at the Neighbourhood Office at The Albany, Deptford SE8, and previously Pepys Estate at 1a Eddystone Tower. At the beginning of 2014 we opened a new branch and office at The Green Man, in Catford SE6 (on the BR1 boundary), in the new headquarters for Phoenix Community Housing Association and as part of their Community Hub. In 2013 we amended our Rules to allow any Phoenix Community Housing Association residents or staff to join the credit union. We are further developing our work with Phoenix, who support us to encourage financial inclusion for their residents and as part of their strategy to assist residents with the transition to Universal Credit. Affinity Sutton Group (ASG) have been long term supporters of LPCU and worked with us in 2008/9 to expand our common bond across the borough of Bromley. ASG were instrumental in enabling us to open the Bromley Plus branch in 2011. We continue to work with ASG to promote credit union services to their residents living in the Lewisham and Bromley boroughs. Over the last few years we have also been supported by Hyde Housing, Hexagon, Family Mosaic and L&Q Housing. In February 2015 we were thrilled to be awarded a £100,000 grant from the Lloyds Banking Group Credit Union Development Fund, administered by the Credit Union Foundation. This was awarded to increase our financial capital ratio to well above the challenging 8% level required by the Prudential Regulation Authority (PRA) for large credit unions. The grant has made it possible for us to plan to grow, including our web site re-launch and 2015 marketing campaign. Lewisham Plus Credit Union Limited is an active member of the Association of British Credit Unions Limited (ABCUL) and participates as part of the London & South East ABCUL Forum. We are members of the Credit Union Expansion Project (CUEP) being delivered by Cornerstone Mutual Services Limited, which was set up by ABCUL to enable credit unions across the country to benefit from shared business model services. The £38m CUEP is funded by the government and overseen by the Department for Work and Pensions. Between 2006 and 2012 the credit union delivered financial inclusion services funded through the DWP Growth Fund scheme, which created an important legacy of expanded access to the credit union. The DWP Growth Fund also supported the credit union in joining the Credit Union Current Account in 2008. Lewisham Plus Credit Union wishes to gratefully acknowledge all volunteers, partners and supporters of the credit union, alongside and in addition to the organisations listed above. Why wait to join us ? Try our easy to use loan calculator and find the best loan deal for you. Smartcash is an exciting new Engage card just for young savers aged 8-16. First 500 accounts free of the usual £10 fee. 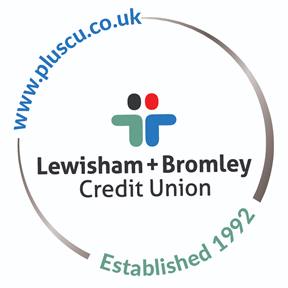 Lewisham Plus Credit Union Limited is a member of the Financial Services Compensation Scheme (FSCS), complies with the Data Protection Act 1998 and is Authorised by the Prudential Regulation Authority and regulated by the Financial Conduct Authority and Prudential Regulation Authority. Firm reference number 213588. Credit Union Registration Number 295C (IP00295C at Companies House).